Bracketron Mobile Grip-iT Windshield Mount KitHunting Fishing Inc. 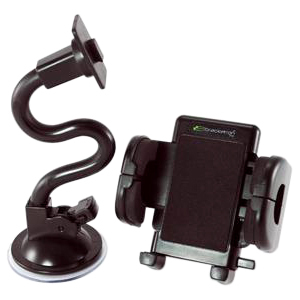 The PHW-203-BL Mobile Grip-iT Windshield Mount Kit features a quick lock & release lever for easy installation. The solid design dampens movement and vibration from road shock, yet is adjustable in any direction. Has a 1 year limited warranty.